/ Did you know the San Gabriel Valley is the golden real estate opportunity in Southern California? An emerging leader in Southern California, the San Gabriel Valley boasts assets that rival other regions, including its diverse foreign direct investment, burgeoning healthcare industry, and vibrant educational sectors. Questions? Contact Director of Marketing & Communications Paul Thomas pthomas@sgvpartnership.org. "A Vision for the San Gabriel Valley: A Case Study of the San Pedro Public Market — Revitalize, Reimagine, Reinvent"
TRC led the development of The BLOC, a massive remodeling of the former Macy’s Plaza in downtown Los Angeles. The property consists of a 496 room Sheraton Hotel, 430,000 square feet of retail stores, a 700,000 square foot office building and parking for 2,000 cars. TRC developed the Hercules Campus, an eleven-building complex of former Hughes Aircraft Company Buildings that have historic status. The project is fully leased to two tenants, Google and the advertising firm 72 and Sunny. The firm owns The Alhambra, a 45-acre and 1.0 million square foot urban in Alhambra, California. TRC is the developer of 5900 Wilshire, a 30-story office tower in the Miracle Mile District of Los Angeles. The City of Los Angeles recently selected TRC to develop a 31-acre waterfront site as the San Pedro Public Market. In total, Ratkovich has developed over 16.0 million square feet of office, retail, industrial and residential properties. In 2011, the Urban Land Institute named Ratkovich a Life Trustee, an honor given to 13 members in the 75-year history of the 35,000-member organization. He is also a Trustee Emeritus of the National Trust for Historic Preservation. Dr. Benjamin Quillian served as Vice President and Chief Financial Officer for the Division of Administrative Affairs at Cal Poly Pomona. Upon his retirement he has been serving as a Special Advisor to President Soraya Coley at Cal Poly Pomona, and he has been intimately involved in the project related to the Campus South (Lanterman Property) from the beginning. Prior to joining Cal Poly Pomona he served as the served as the executive vice chancellor and chief financial officer of the California State University System, managing a budget of about $6 billion. In that role, he led the implementation of the CSU Common Financial System and also worked to consolidate the 23 campuses onto a common human resources system. He also has served as the senior vice president for business and operations and chief financial officer for the American Council on Education. Dr. Quillian has held similar senior leadership positions at Fresno State and Southern Illinois University at Edwardsville. Ken Lee is Vice President of Development for Pacific Plaza Premier Development Group, one of San Gabriel Valley’s fastest growing private real estate development companies, specializing in mid-rise, mixed-use infill development. He leads the company’s acquisition, entitlement, and development activities, and serves as the company’s public liaison with local governments and the public. The Pacific Square San Gabriel Project is a 5.85-acre mixed-use development project proposing 80,000 square feet of commercial retail uses and 243 units of residential condominiums. Key anchor tenants will include a food market and fitness center. Walter Marquez is the Chief Financial Officer and Vice President of Finance for Fairplex. Prior to his position at Fairplex, Walter was the Associate Vice President of Facilities Planning and Management at Cal Poly Pomona, where he was responsible for various planning and development efforts on campus and a member of the Lanterman property transfer team. With over 20 years in higher education experience as an administrator and adjunct professor, Walter has held responsibilities in long-term financing, multiple financing and construction delivery models that included “P3” developments. He holds a bachelor’s degree in business administration from Cal State San Bernardino, an MBA from Cal Poly Pomona and a doctoral degree in organizational leadership from the University of La Verne. Walter is a life-long resident in the region and currently resides in the city of Azusa. Fairplex has begun its efforts to develop an approximately 12-acre parcel within the campus, which sits within the La Verne city limits, as part of the Specific Plan. The mixed-use project is part of the Gold Line's Transit-Oriented Development. Ben Kim is Rosemead's Director of Community Development and oversees various divisions, including Economic Development, Planning, Building & Safety, Housing, and Code Enforcement. Ben has over 26-years of experience working in both the public and private sectors with a focus on development, property acquisition, economic analysis, and entitlements. Ben will be discussing the recently adopted Garvey Avenue Specific Plan which encompasses 88-acres of land in Rosemead and greatly streamlines City's entitlement process. Lisa Levy Buch serves as the Chief Communication Officer for the Foothill Gold Line Construction Authority, overseeing communications, community outreach, and media relations. As a member of the Authority’s management team, Lisa advises on a wide range of communications, community-related and intergovernmental issues to strengthen the Authority’s relationship with surrounding communities, agencies, and elected officials. She also sets long-term direction and policy for communications around the agency’s program of projects. Lisa brings nearly three decades of experience in transportation planning, policy and public affairs to her position, including consulting for the Authority before being appointed Public Affairs Director in 2009. During her career, Lisa has created strategic communications programs for some of the region’s most controversial transportation and land use proposals, helping educate and build grassroots support with communities, the media and elected officials at all levels of government. A consultant for Ontario International Airport, Greg Devereaux has served in state and local government for nearly 40 years, holding various administrative leadership positions in several California communities, including city manager in the cities of Fontana from 1993 to 1997 and Ontario from 1997 to 2010. He retired as Chief Executive Officer for the County of San Bernardino in 2017. Michael Woo is Dean of the College of Environmental Design at Cal Poly Pomona, one of the main producers of architects, landscape architects, urban planners, and graphic designers working in California. Woo was the first trained urban planner and the first Asian American elected to the Los Angeles City Council. For eight years, he represented the Hollywood area where he initiated the Hollywood Redevelopment Plan that underlies the current revitalization of the Hollywood commercial core and also played a key role choosing the route and station locations for the Metro Red Line system. 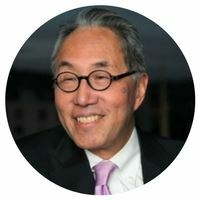 A native of Los Angeles and a member of one of the first Chinese American families to move to Monterey Park in the 1960s, Woo is a product of public schools, from kindergarten to Alhambra High School to his B.A. from UC Santa Cruz and his Master of City Planning degree from UC Berkeley.